Daegu? Where the hell is Daegu? As a matter of fact, it’s the fourth largest city in SK and only an hour away from Busan. To put it bluntly – the city is a bit of a downer. Seriously, this town is a total bore. Why did I even come here? Despite the fact that Daegu is an industrial, manufacturing city, I actually found it to be more suburban, with residential blocks, big supermarkets and yellowing grass in the winter. Daegu seemed to me like some Russian cities I’ve visited. Yes, Russian cities can also be boring, imagine that. I’ve seen other manufacturing cities, but this one doesn’t look like one. Maybe all the factories are on the outskirts of the city, but they’re not here. 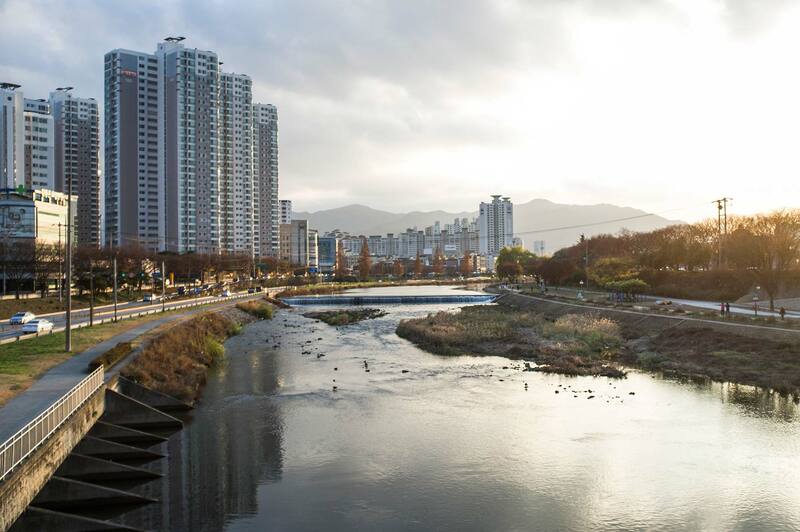 The Geumho River cuts through the city. Daegu produces hi-tech goods and textiles and also grows apples. The city is quite big and is surrounded by mountains on all sides. The mountains trap hot and humid air which provides a perfect environment for growing apples and these ones are renowned throughout South Korea. The nearby mountain range also presents the opportunity for all sorts of activities, from hiking and climbing to water rafting and incredible night life. However, I didn’t stay here long. Thank God, lets go. 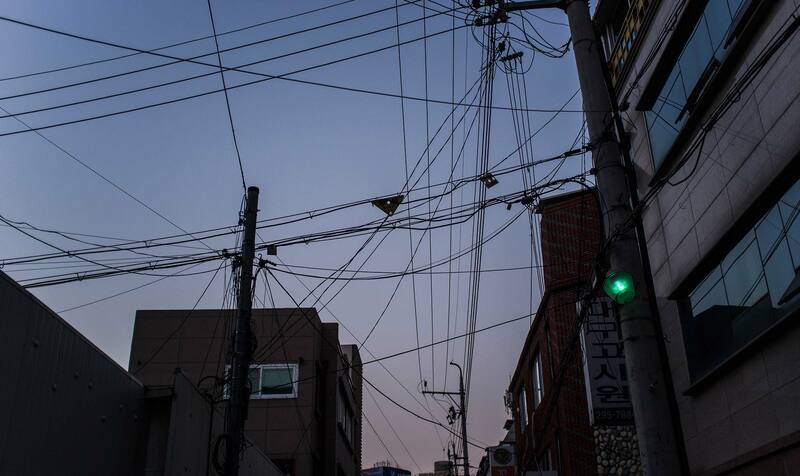 Daegu is one of the most conservative places in the country, so the locals are often unfamiliar with cultural difference. 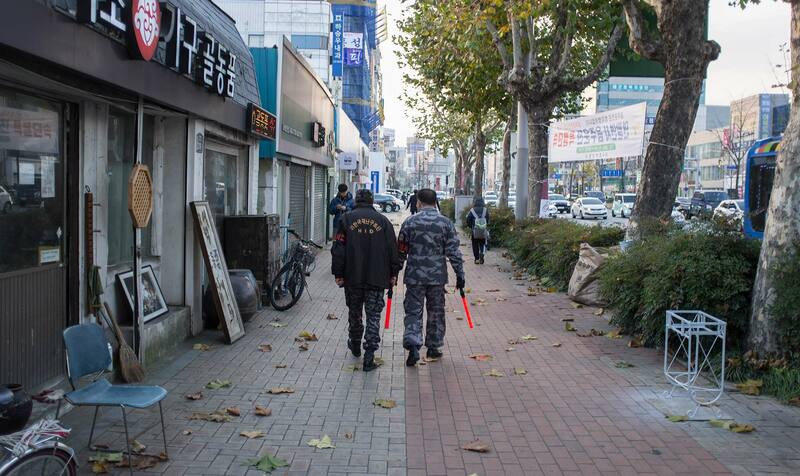 Despite quite a large expat community and playing host to one of the largest U.S. military bases in the country, I found myself in the same position as in China, where I would often get stared at in public, which is unlike any other place I visited in South Korea. 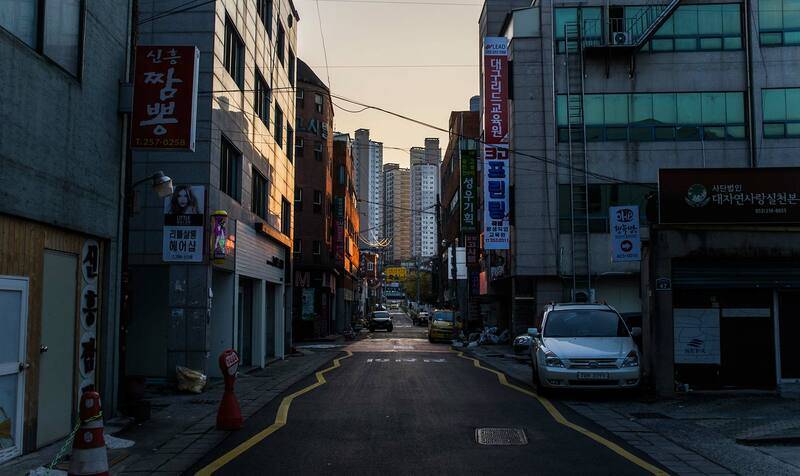 Daegu is a very conservative place, and although primarily not religious, has sustained Korean shamanism. 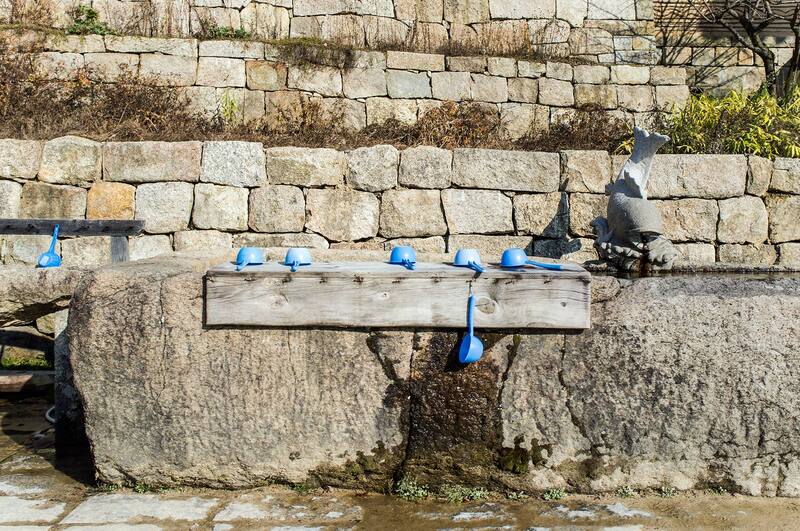 These rituals and art are still performed and preserved in nearby villages and cities, including Hahoe Village in Andong. 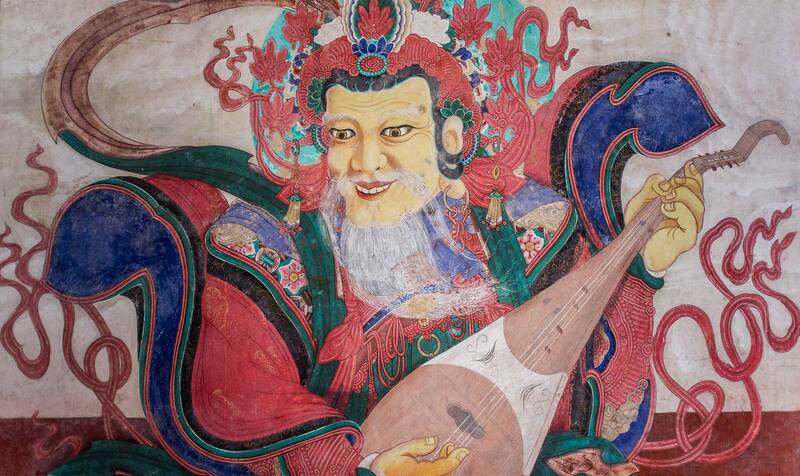 Along with shamanism, great significance is also given to the historical Korean religion – Buddhism. I travelled west to find out a bit more about this religion and here is a little insight from my visit to the Buddhist Haensa Temple. 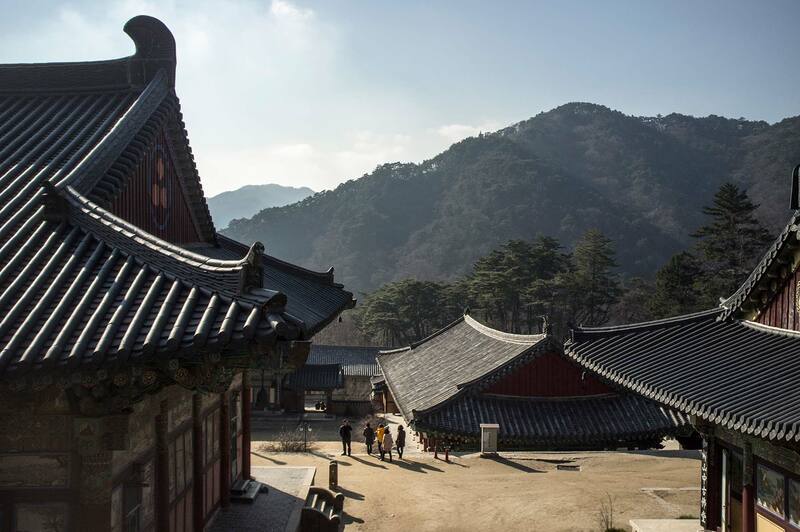 According to the history books, Haeinsa was first settled in the year 800 by monks who had just returned from China. The temple’s name, meaning “Temple of Reflections on a Smooth Sea”, comes from a verse in Buddhist Sanskrit. The temple was built by a grateful king after the monks healed his wife. According to legend, the monks tied one end of string to the queen’s tumour and the other end to a tree, while chanting Buddhist verses. Miraculously, the tumour vanished as the tree withered and died. 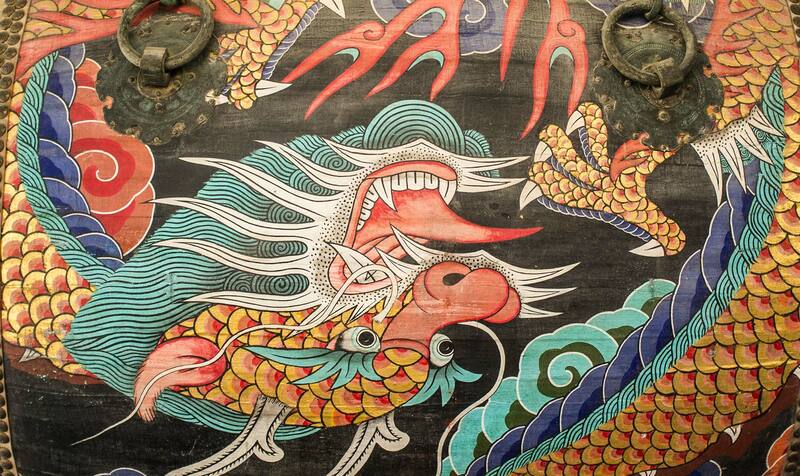 Ornate illustrations on the walls and decorative drums. 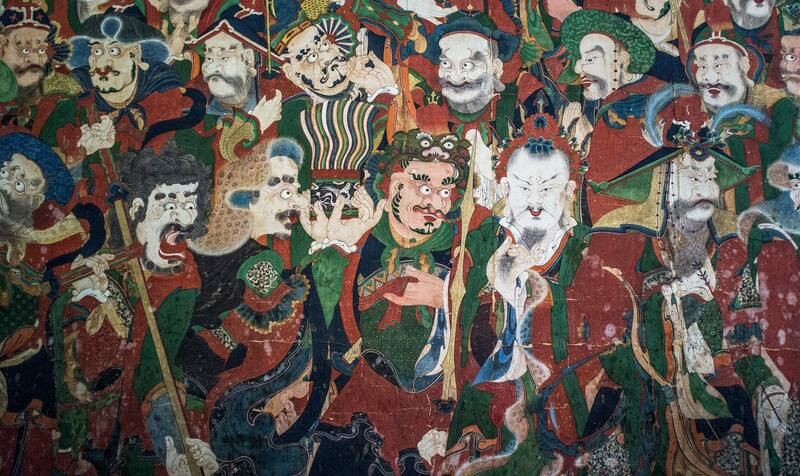 Hundreds of years later, in the 13th-century, Korea was at war with the Mongols. 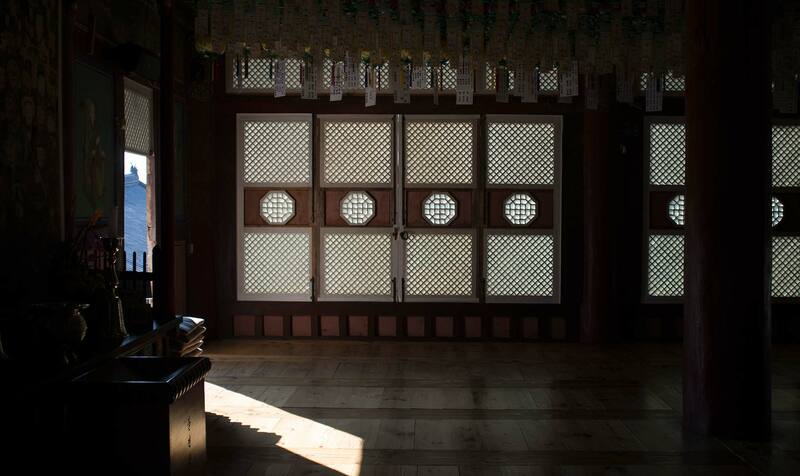 The Korean government, in exile on Ganghwa island, commissioned a copy of the Buddhist scriptures in the hope of gaining the Buddha’s intervention in the war. The resulting Tripitaka Koreana, carved in the 13th century, is considered the best example of the scriptures in Asia. According to tradition, the woodblocks were made of white birch, first soaked and then boiled in sea water for three years, then dried for three years in the shade. 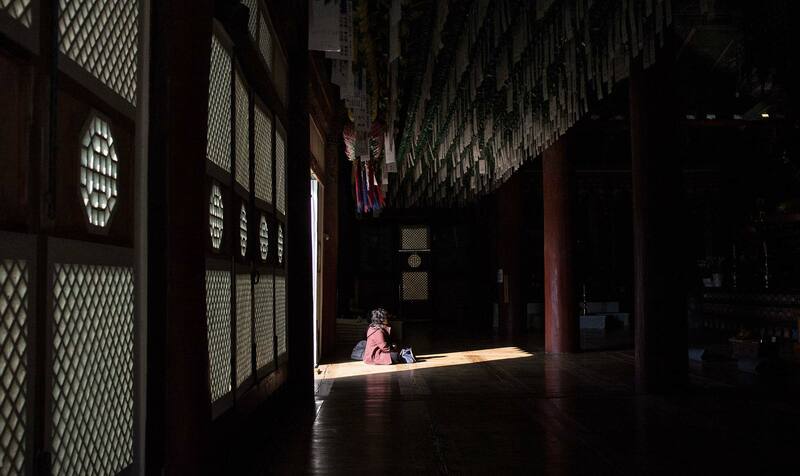 A woman praying in the temple which is pretty dark even during the day time. 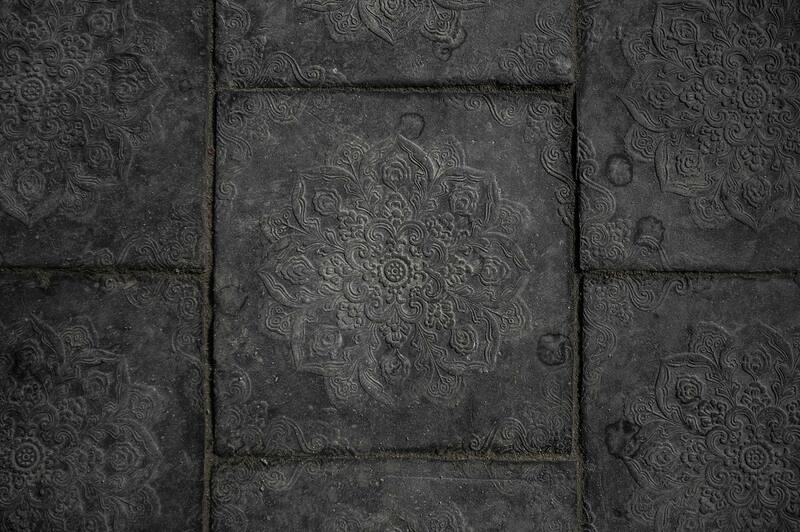 Floor tiles at the entrance of the temple. 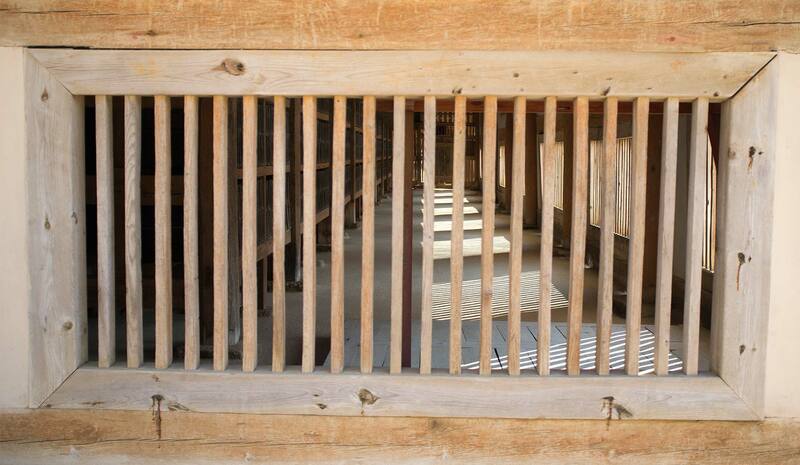 Haeinsa suffered a devastating fire in the 19th century, in which nearly all the wooden temple buildings were destroyed. Only the Tripitaka library at the rear of the complex, escaped damage. 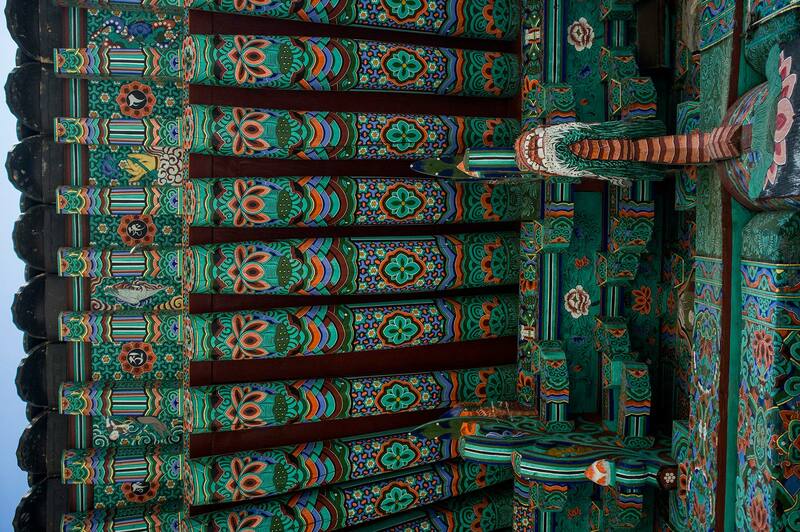 The library hall and its woodblock scriptures have been designated a Korean national treasure and later became a World Heritage Site. But, as usual, my visit to this place was spontaneous and the scripture library was closed when I went, so I only managed to see them from outside. 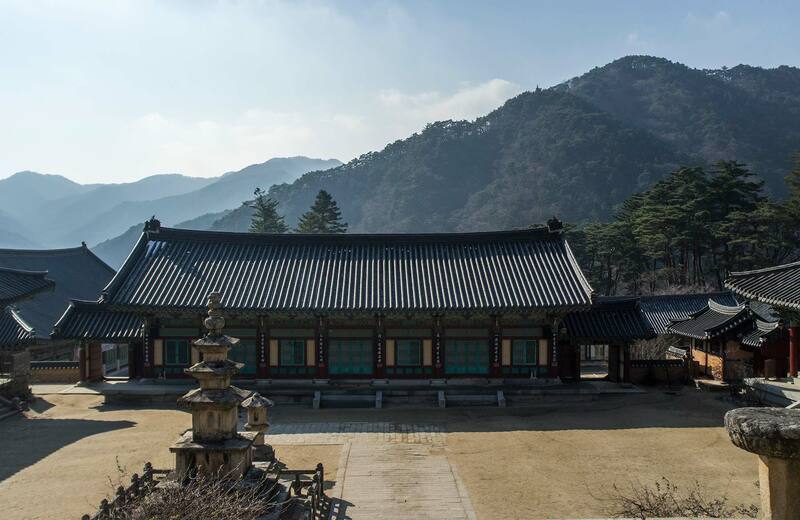 Late in the 20th century, the monks of Haeinsa entered the digital age and began the painstaking task of electronically inputting the contents of the Tripitaka Koreana. 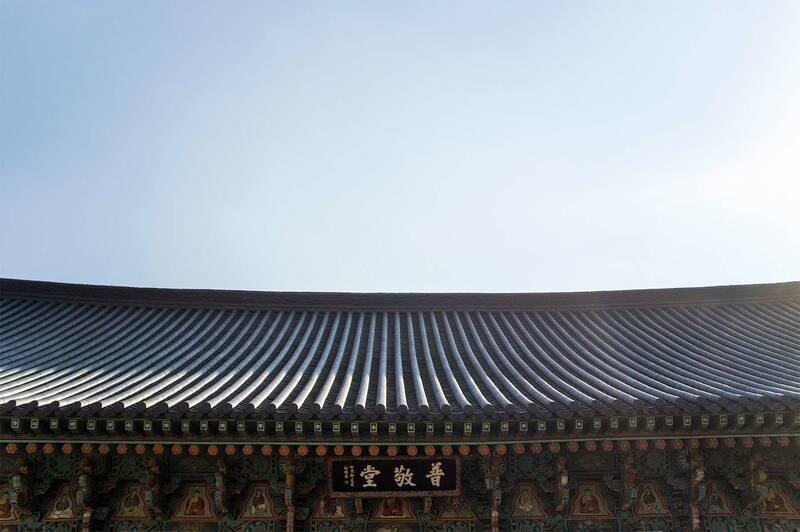 The ancient text is now stored on digital formats and the monks have further plans to provide a parallel translation into modern Korean and extensive cross-referencing and other indexes. On the way back. 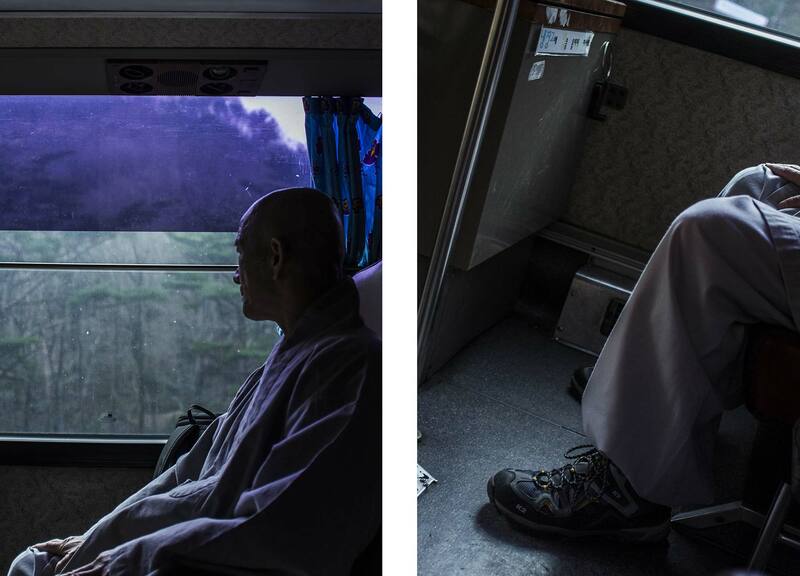 A monk from the temple on the bus wearing branded footwear.